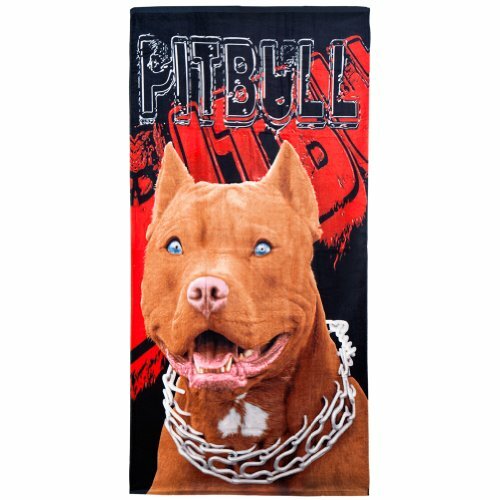 A rough-and-tumble pooch grins in a badass "Pit Bull" portrait illustration across this incredible velour beach towel. Made from quality 100% cotton, this is just the thing to bring a little edge to your peaceful day at the beach. If you have any questions about this product by Island Gear, contact us by completing and submitting the form below. If you are looking for a specif part number, please include it with your message.